Move North about 1800 kilometers from the famed Bermuda Triangle to a less fashionable body of water in Eastern Ontario. One that some say is even more strange than its southern counterpart. The area lies in the water off of North Marysburgh, the Eastern most tip of Prince Edward County, stretches out to Main Duck Island, an abandoned fishing community and lighthouse outpost, and is bounded to the North by Kingston. Here, like that other triangle which gets all the attention, you get stories about disappearing ships, airplanes that never reached their destination, strange lights, eerie fog and many other bizarre occurrences. It’s hard to know exactly how many ships went missing in these waters during the later half of the 19th century and the early part of the 20th. The area is known as the graveyard of Lake Ontario. They are fraught with difficult shoals, inlets and strange currents. Over 50 known shipwrecks have been reported in the waters around Prince Edward County alone. In South Bay the Mariners Museum sits, giving us an insight into early shipping and memorializing the lives lost in those waters. Certainly one wouldn’t have to look far to find a rational explanation for a shipwreck in the times when there was no radar or even reliable lighthouses. Yet some of the accounts steer decidedly away from the mundane. Up until more recently, shipwrecks have been replaced with sightings of UFO’s and strange floating lights over the lake. Some stories set themselves apart from the tragedy in a category of their own. Here are two extraordinary reports of missing vessels taken from part of an article from the December 8, 2007 edition of the Belleville Intelligencer. She was racing in front of them like a "scalded cat." Moments later, she had vanished. So it seemed to the astounded witnesses on June 29, 1900. They were in a caravan of three schooners traversing Lake Ontario carrying coal from Charlotte, Rochester, to ports in Belleville and Kingston. Schooner Picton, a wooden two-masted vessel, was leading the three, carrying 350 tons of coal to Rathbun Company in Belleville. Following closely were the Anne Minnes, under Capt. Savage, also headed to this port and the Acacia, with Capt. Byron Bongard in charge, carrying its freight of coal to Kingston. "Capt. Savage says the sea was running pretty high on Saturday morning, and when he sighted the Picton, it appeared to be in distress. When he was about one and a half miles or two miles from the Picton, that vessel foundered. The schooner Anne Minnes sailed through a lot of wreckage, spars, fenders etc. but saw no trace of the crew, though one of the Anne Minnes's crew says he thinks he saw a body of a boy in the water. It is said a rope was thrown to the boy but he made no attempt to reach it." The report continued to note an observation that the crew might have been washed off even before the vessel foundered. The ship and its crew were presumed lost and after hours of fruitless search for survivors, the crew on the other two schooners gave up and reluctantly continued on to their destinations. All seven on board the Picton, residents in Belleville, disappeared that day. The crew included owner Capt. John Sidley, 50, his 11-year-old son Vesley, mate Frank Smith, cook Barney Ayres, helpers Walter Dunn and William Bly, and 30-year-old sailor William Cole. The Bavaria was in the eastern region of Lake Ontario in May 1889. Rescue parties sailing from Kingston found the Bavaria in a shoal near where it was reported missing earlier during a storm. The rescue party found the Bavaria but they couldn't find the crew. Aboard, the clearly abandoned ship were the captain's important documents, a box containing a large sum of money from completed deliveries, a canary and freshly baked bread in the oven. The vessel, still completely seaworthy, was sailed back to Kingston. The mysterious disappearances of the men aboard the Bavaria and sinking of the Picton and loss of its crew remain unsolved. The curiousness of the latter deepened further and speculations raged on when, weeks after the disappearance of the Picton, a young child in a small, nearby fishing village, found a floating bottle with a note inside. "John Sidley, Captain of the schooner Picton, in great peril. Expect to sink at any minute. Goodbye to all friends. Finder please report to my wife." Along with missing ships come reports of strange floating lights over the lake. These “Orbs” as they have come to be known have been documented in other areas of Lake Ontario and indeed around the world. No one knows exactly what they are but they seem to fly around with an intelligence and maneuverability which would defy modern aeronautics. Many state that these orbs could be the nocturnal drills and practices undertaken by the Canadian Air force. 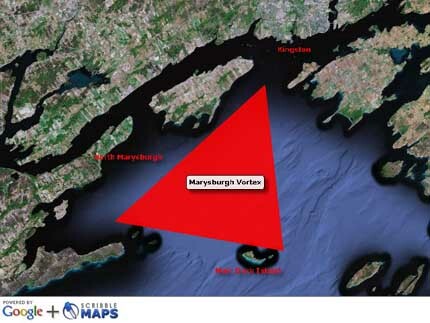 Indeed, the Marysburgh Vortex is not so far away from CFB Trenton Airbase, the hub for air transport operations in Canada and abroad and operated by Canadian Forces Air Command (AIRCOM). All manner of aircraft come and go from there and it is conceivable that at least part of the Orb reports can be attributed to air traffic. However, some are not so easily swayed. Many more reports exist of similar bizarre disappearances in these waters. No solid explanation has come forth to shed light on these mysteries but a few interesting facts have been found out over the years which may serve as pieces to the puzzle. Looking at nautical charts for this area you can find notes and warnings such as the one below for the Kingston area. Certainly magnetic disturbances would have rendered compass readings, a common navigation tool of early shipping, inaccurate. Add the large number of shoals in the area to the equation and it would be easy to run aground and break up…as many ships did. However, this isn’t necessarily a supernatural explanation to the vortex. Other areas in the world share this natural phenomenon, but what is it about the Marysburgh Vortex which would account for leading these ships astray to such a freakish end ? Recent studies of the lake floor have come up with evidence of a meteor crater in this region, an area named Charity Shoal. 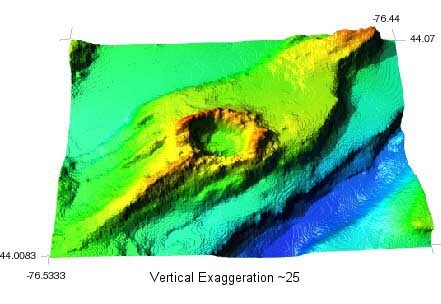 A paper by the National Oceanic and Atmospheric Administration, notes that this crater is rimmed, an indicator backing the theory that it was formed by a meteor. It’s geological makeup appears to be of a magnetic nature, potentially contributing to the magnetic anomalies. Before this study though, a different type of research was conducted in the area in regards to its unusual magnetic properties. In December of 1950 a Joint project was undertaken between the United States Air Force and the Royal Canadian Air Force, Department of Transport. It was named “Project Magnet”. It was created after it was noted by both agencies that there seemed to be an unusually high number of UFO reports in areas with magnetic anomalies. 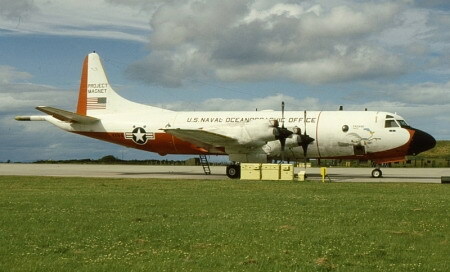 Pictured above: an RP-3A, named “El Coyote” used in Project Magnet, marked on the tail. Wilbert Smith, the appointed Director of the Canadian portion of Project Magnet, and a Senior Radio Engineer with the DOT, was possessed of a keen interest in UFO’s and went on to lead other government founded UFO projects. It is believed, that Project Magnet, utilizing specially fitted aircraft able to detect magnetic disturbances, flew over the area of the Marysburgh Vortex. Unfortunately, conclusions, if there were any, are difficult to find. Hugh Cochrane has this to say in his 1981 book, Gateway to Oblivion, the Great Lakes Bermuda Triangle, about Project Magnet and its activity around the Vortex. He also introduces anther phenomenon theorized by the Project which raises some interesting questions. 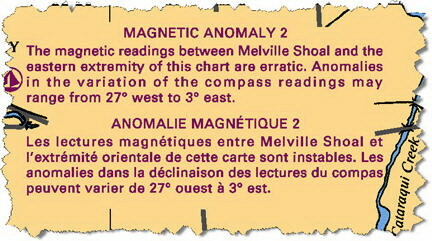 In 1950, in a joint venture between the United States Navy and the Canadian National Research Council, a study was begun on magnetic anomalies and other such phenomena. As part of this project, surveys were made around Lake Ontario. This led to further investigations by a Canadian team of scientists under Wilbert B. Smith of the Canadian Department of Transport. They discovered areas of "reduced binding" in the atmosphere near the shore of the lake. In one report these areas were described as pillar-like columns-some almost 1,000 feet across and reaching thousands of feet up into the atmosphere-which were invisible and detectable only by sensitive equipment. Inside these columns some peculiarities were noted in gravity and magnetism and what appeared to be a reduction in the nuclear binding forces holding matter together. It was also discovered that some of these "columns" were mobile and never remained in one location for any length of time. Such an unusual discovery should have created some interest within the scientific community. Evidently it did not. Investigations of these areas were dropped and nothing further on the subject has been released. As for the peculiarities in gravity found in these columns, there are numerous claims that the Earth’s Magnetic Grid may have some very interesting and unknown characteristics. Theories abound, and cover such topics as levitation and Ley Lines. For the sake of brevity and to avoid running off on a tangent, suffice to say there could be some compelling work to be done in the field of geomagnetism. Real or not the Marysburgh Vortex has given scientists and laymen alike reason to rethink what is possible. Cochrane, Hugh. (1981). Gateway to Oblivion: The Great Lakes Bermuda Triangle. NY: Avon. Sangma, Benzie. 2007, ‘Mysterious loss of crews in the Marysburgh Vortex’, Belleville Intelligencer, December 8.